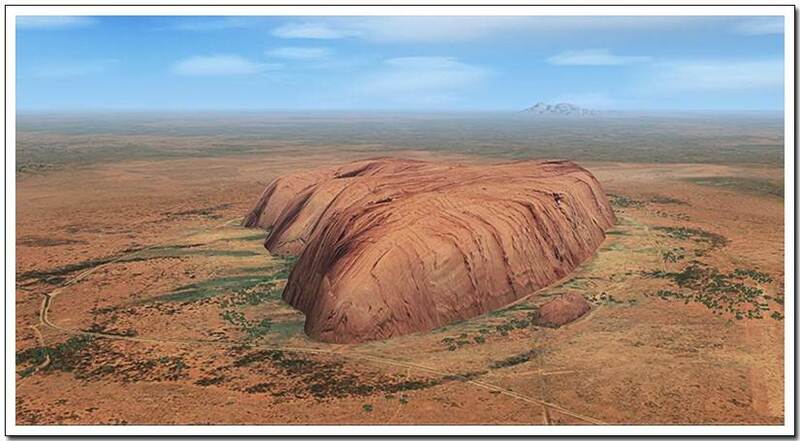 Enjoy the beauty of "Uluru", the mysterious massive rock in the middle of Australia that seems to have come from nowhere! Of course, this rock is featured in FSX and P3D by default, but there is not much else in the vicinity, and the local airport of Connellan (YAYE) is very bland and not worthy of note... Unless of course, you have this particular add-on scenery. 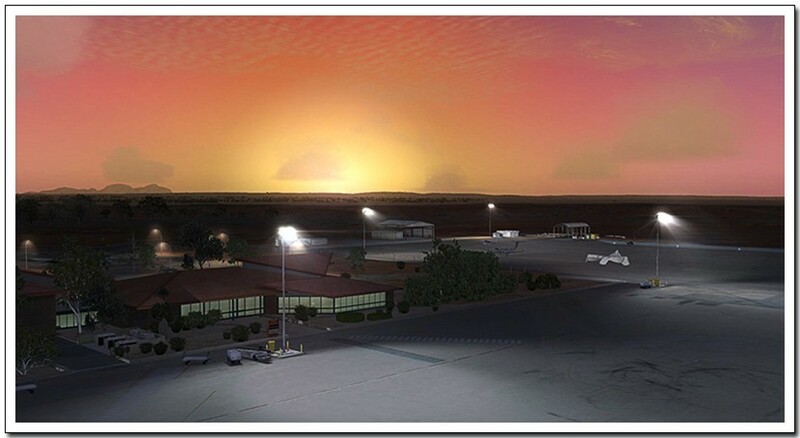 This scenery expansion for Uluru (Ayers Rock) adds a high-detailed rendition of Connellan airport, as well as many surrounding features in the area. For any Australian virtual pilot, or any pilot visiting the area, this scenery is a must-have. 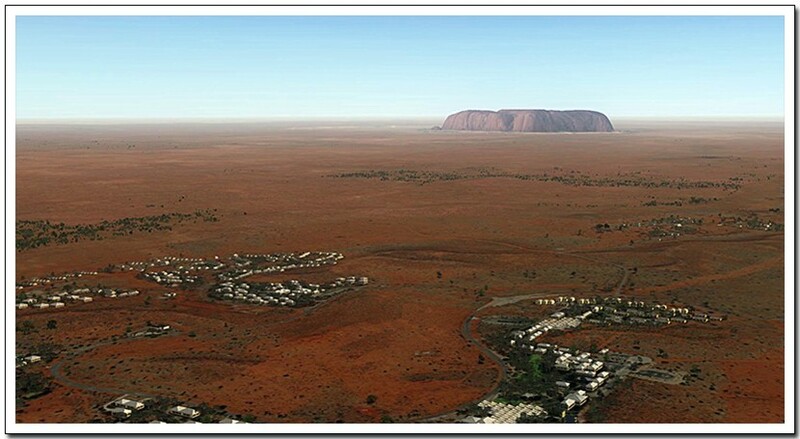 Uluru (Ayers Rock) should be part of every virtual pilot's "bucket-list". Buy and download now from PC Aviator, or grab this title with a download backup DVD mailed to you for a few dollars extra. For under $16.00 this is a true bargain, and almost a no-brainer. 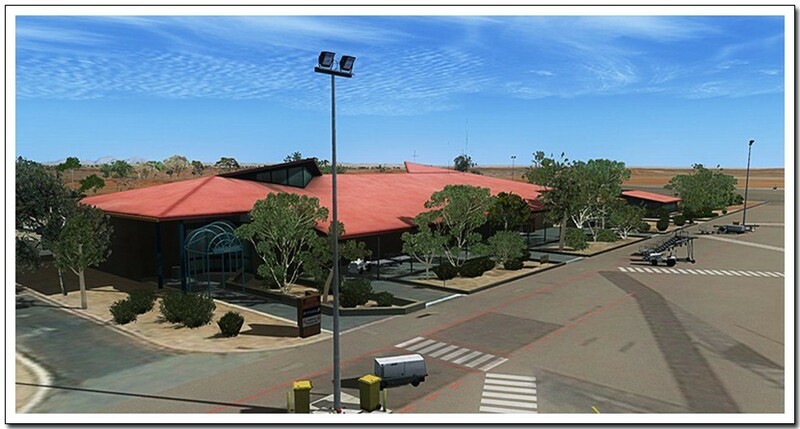 Add this package to your FSX or P3D installation now and get out there are start exploring this famous Australian "outback" landmark! Fly to Australia`s most recognizable natural landmark, the large sandstone rock formation also known as Ayers Rock or Uluru. You can land at Connellan Airport (IATA: AYQ, ICAO: YAYE) a neat airport suitable for jets up to the Boeing 737-800. It handles around 300,000 passengers a year which mainly stay at the "city" of Ulara also featured in this scenery. If you´ve never been there, well, this is your chance. Hop on a plane and fly from Sydney, Melbourne, Darwin or Alice Springs and go rock climbing on one of the most famous sandstones! Compatible with add-ons such as FTX Australia and most others.